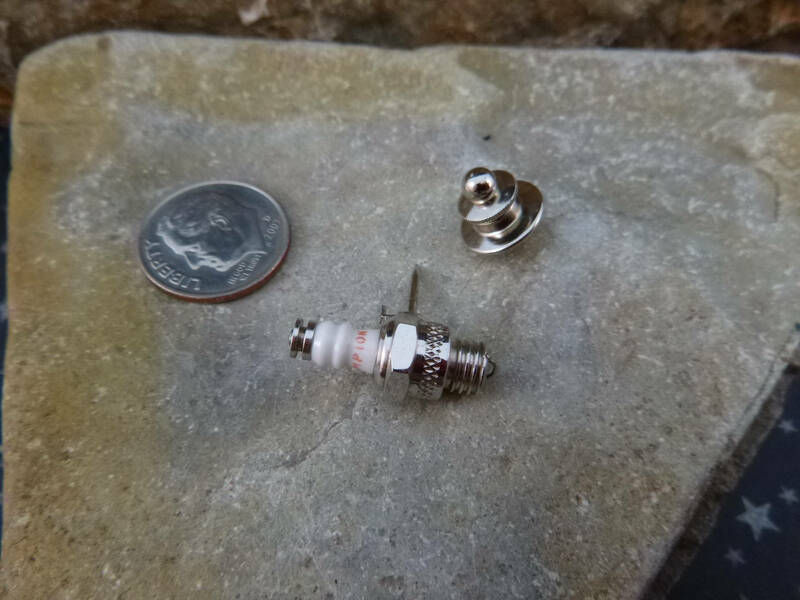 Weekend vintage hunting at an estate sale produced this Champion spark plug tie tack find. 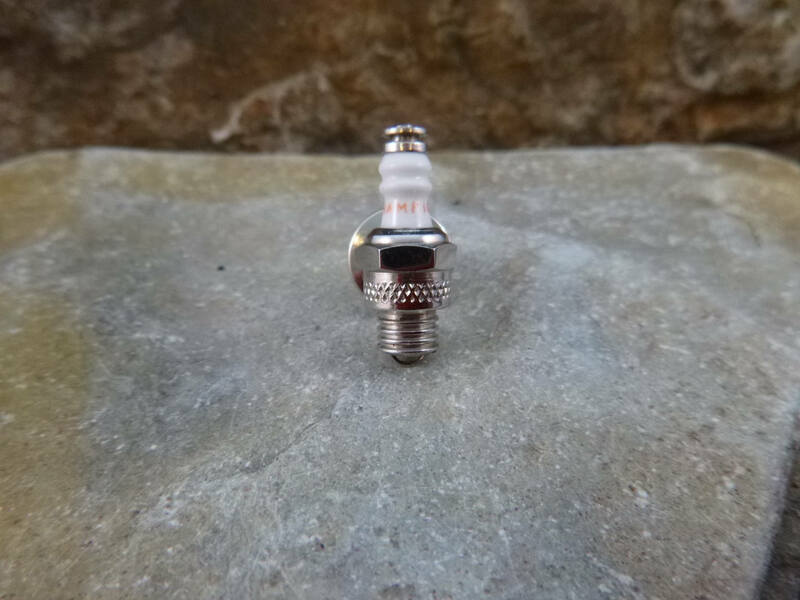 The plug is made of white porcelain with red lettering that reads “Champion” and is set in silver tone metal. 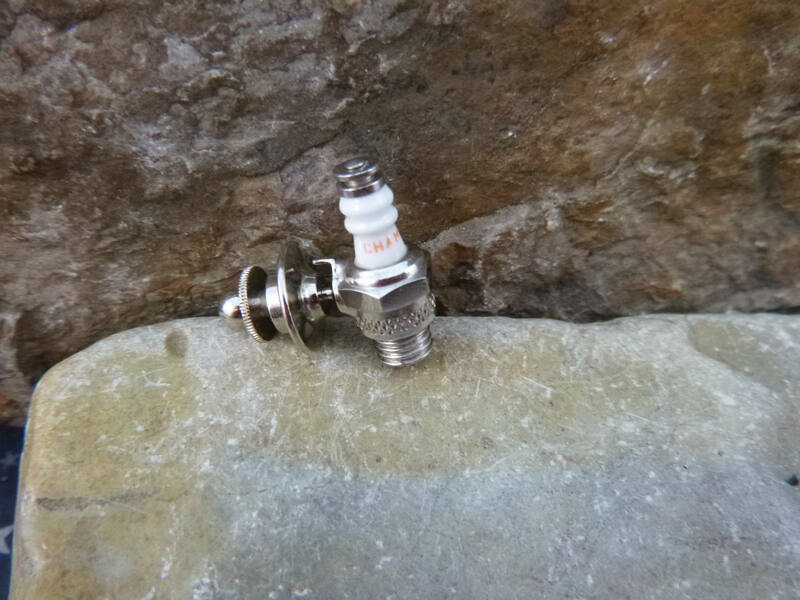 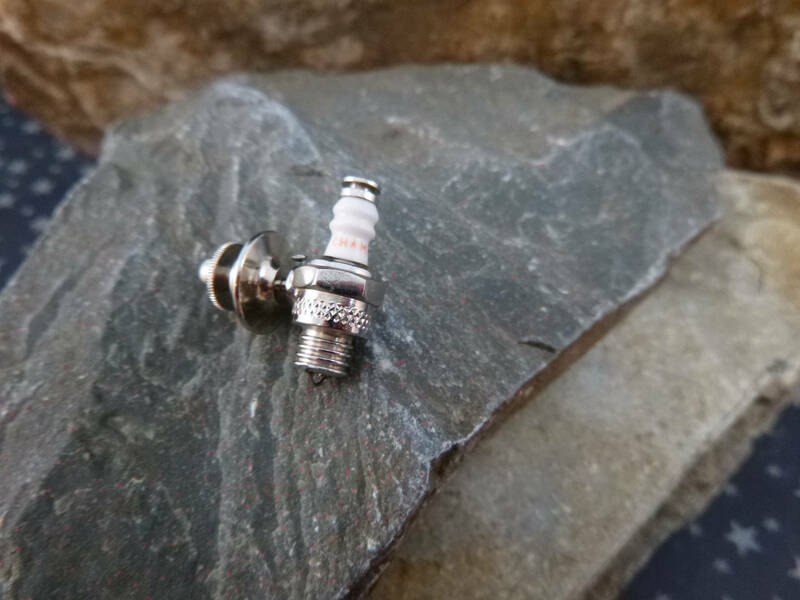 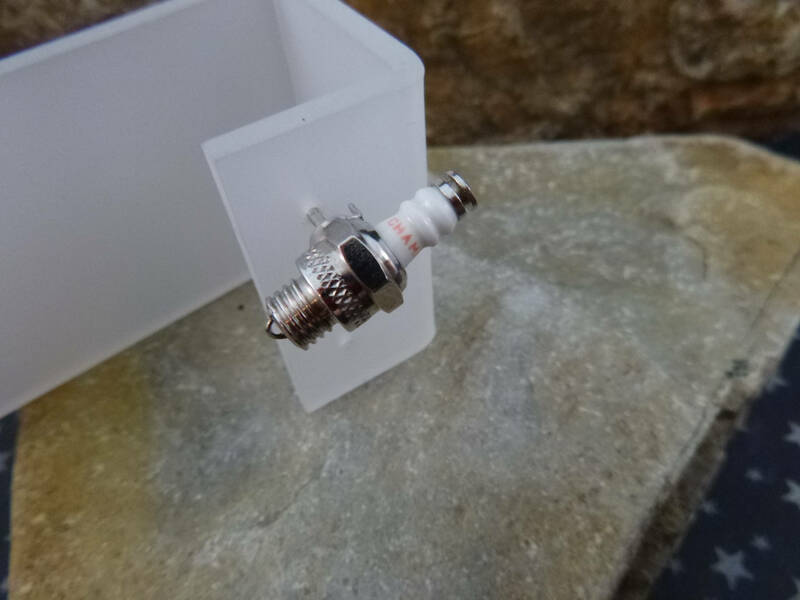 Whether you’re an auto mechanic, hobbyist, car or engine enthusiast, or you just love interesting and unique tie accessories, this is a delightful tie tack. 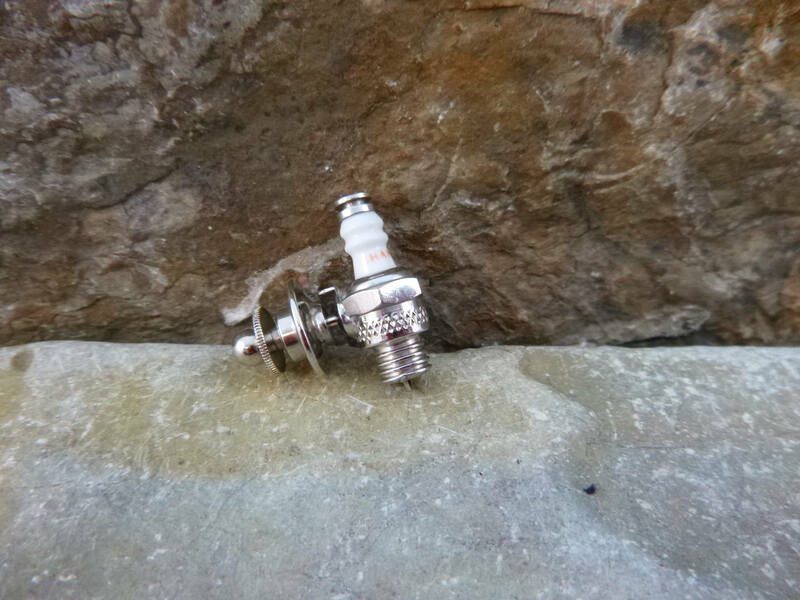 Overall it’s in very good vintage condition with a well working squeeze slide back. 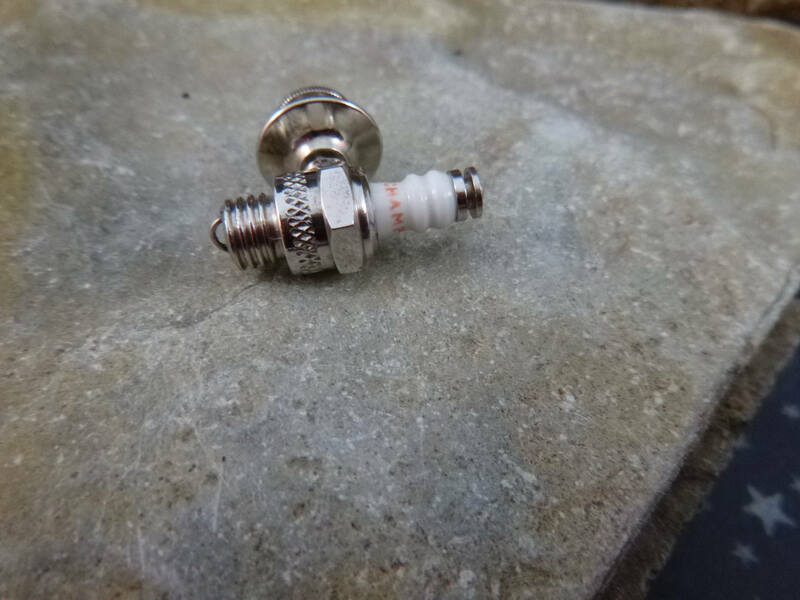 The pictures offer greater perspective on the uniqueness, condition, and fun nature of this vintage spark plug tie tack.